The holidays are coming up and Soil Sisters by Lisa Kivirist would be a perfect gift for any aspiring or experienced female farmer. One of the greatest features of this book is valuable stories and tips from the author as well as over 50 women involved in different aspects of sustainable agriculture. As Kivirist says (of women in the food system) “some farm, some cook, some teach…” and she writes. And I’m so glad she wrote this book. Reading these pages feels more like sitting across from Lisa and friends at a kitchen table, where you quickly come to realize that every female farmer was once an apprehensive beginner and that you’re not alone – you are among sisters. In the preface, Kivirist describes her own entry into farming. Describing herself as a “disgruntled young professional” seeking “an antidote to corporate malaise”, she said that she began taking weekend trips to rural areas outside of Chicago and fell in love with farm life. Kivirist tells readers “becoming a farmer probably sprouted inside your heart and soul” and many female farmers may have followed more “traditional” paths before becoming farmers. Can you relate? I certainly can. In 1996, Kivirist purchased five acres in Wisconsin and started Inn Serendipity Farm and Bed & Breakfast. This section focuses on the history of women in agriculture and inequities women have faced in the past and continue to face today. I was not shocked, but still very sad to read about how women have continually been underappreciated for their significant roles in agriculture. Even today more than 30% of farmers are female, but this number is said to be very underestimated. I learned about how women stepped in to fill agriculture roles and sustain their family farms during WWI and WWII, only to be replaced again by soldiers returning from the wars. It was inspiring to read about how rural and urban women of diverse socioeconomic and geographic circumstances farmed together during WWI through the Women’s Land Army of America (WLAA). In WWII, women played a prominent role in establishing Victory Gardens, which supplied much of the nation’s fruits and vegetables. It’s a shame, but I don’t remember hearing about any of this in history classes. Kivirist also talks about women’s contributions to the rise of community-supported agriculture (CSAs) and women farmer networks in the 1980s and 1990s. The author and other contributing female farmers share many specific ideas for how women can collaborate and impact the food system today. They discuss contributions of female farmers to land stewardship and sustainability, educating consumers about the food system, building community partnerships, and integrating art into their farms. Kivirist also talks about recently reinvigorated interest in do-it-yourself (DIY) and green living, recycling and reusing items, and making foods and other homemade products. This section also includes helpful information about the difference between farming as a hobby vs. as a business, and skill sets which can be transferred from other career paths to farming. Whether you are a mid-life (or older) female farming as a second career, a solo farmer, a young female farmer, or returning to farm on family land, there is information specific to each of these categories of female farmers. In this section, current farming trends are discussed such as organic and local food, agritourism, and speciality foods (for example, cheeses, kombucha, gluten free, and pickled products). The author discusses the importance of lifelong learning as a farmer and connecting with older and/or more experienced farmers to benefit from their wisdom. There is extensive information about financial (loans, grants, crowdfunding, etc.) and educational resources, such as through the United States Department of Agriculture (USDA), University Extension, nonprofits, online, and hands-on/apprenticeships. A table shows how much acreage and other resources are needed for different types of products (for example, she says for an orchard you’d need 5 or more acres) and there is guidance about finding and accessing the right farmland. This section includes information about farm business ideas such as farm-to-table initiatives, field production, value-added products, and cottage food enterprises. As with other books about sustainable and small-scale agriculture, she emphasizes the importance of crop and product diversification and thorough record keeping. 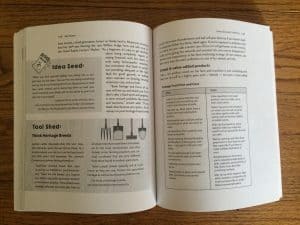 I particularly enjoyed the chapter about developing complementary on-farm ventures such as farm stays, farm-to-table meals, and agritourism, weddings, workshops, and writing about your farm. Perhaps one of the most helpful chapters is “Business-Planning Boot Camp” which includes information about types of farm businesses, tax and other legal requirements, writing a business plan, liability, promotion, sales, and distribution. 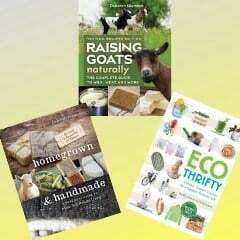 And be sure to check out p. 105 for advice from Deborah about raising feeder pigs and goats and selling their products! Another important chapter is about preparing and sustaining your body for physical farm work as well as tools, which can help women farm in a healthier way. The last section includes information to inspire women to be leaders in transforming the food system as well as guidance about working with men in agriculture, finding your “soil sisters”, and integrating farming with family life. There are also tips about time management, working with the seasons, and prioritizing your health. Regardless of your role in the food system, Soil Sisters will leave you feeling more empowered and equipped to follow in the footsteps of the many remarkable female farmers who have helped to shape American agriculture and lead the transformation of our food system. Winning the “Soil Sisters” book would be very helpful for me in a practical and inspirational way. I am in the planning stages of deciding on whether to sell my home on 2 acres in the Mid-Atlantic region in order to purchase a larger parcel of land, or to stay on my current property and create an urban farm. I am 49 years old, recently divorced, no children and work full time in the veterinary field. I “homestead” on my current property with chickens, honeybees, fruit trees, edible perennials and annual vegetable gardens…but my heart leads me to a drastic lifestyle change of being home farming rather than working away. I have strong interest in herbs, forest gardening, wild edibles and heirloom fruit and vegetables. 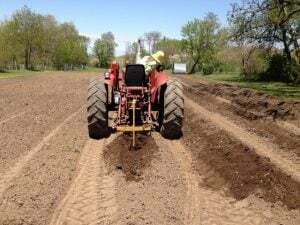 This past season I “gave” an acre of my land to be used by a young, beginning farmer for a market garden; the land produced so well and he was quite successful (with lots of learning and bumps through the season) at a local farmer’s market. I will be “giving” that acre to another young farmer this coming season, but ultimately plan to be “that farmer”. 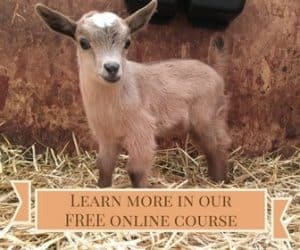 I would like to win this book because I am in the beginning stages of living on a ranch/farm and I think the experiences and information in the book will help guide me while I learn. I love her other books so would like to read this. Her writing is motivational and practical. Love Lisa’s books! I’d love to read this!